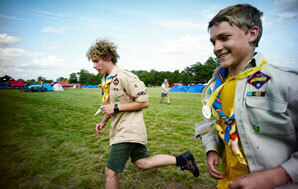 Scouts from the Local St Cuthbert’s Troop in Burnley are planning to visit the International Jamboree in Sweden. The trip takes place in July this year and three members of the Troop will be traveling to the small town of Kristianstad, in the South of the country along with an expected 38,000 other Scouts from around the world for the experience of a lifetime. The three Scouts are trying to raise funds for the trip by various traditional Scouting methods, as well as already being in receipt of a donation from the Burnley & Pendle District Community Fund, W. Bro Roy Langtree has arranged a social Quiz Night for 7:30 pm Saturday 12th March at Nelson Masonic Hall. Tickets are £5.00 per person and include your supper, and if Debby’s track record for catering is anything to go by we should have more than our money’s worth. It should be a lot of fun with all funds raised on the evening going to the Scouts Jamboree fund. There are actually three scouts from St. Cuthbert’s going to the Jamboree. They are Gavin Bottacin(my grandson), Jake Launder and Matthew Buckley. They will be there on Saturday and no doubt will be keen to express their appreciation for the fund raising efforts on their behalf. See you on Saturday it will be a fun evening. Thanks for the correction Roy. I have corrected the post. See you on Saturday. Fantastic Roy me and Deb will be there. I certainly hope so beacuse I’m partial to pie and peas, especially when Deb’s does them. With Ian and Kath that’s six, hopefully there will be a few more.